Ramblas, 117, 08002 Barcelona, Spain. 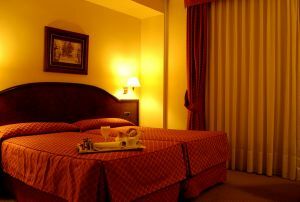 Hotel Royal Ramblas is located in the city's cultural, historic and tourist heart on the famous Ramblas, near to Plaza Catalunya and also the Liceo Theatre. An important shopping and leisure area. It offers 108 well-equipped rooms with television, phone, air-conditioning and bathroom, restaurant, coffeebar, meeting rooms and parking. 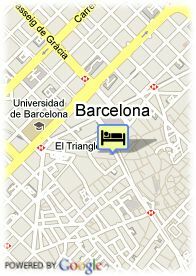 Paid covered parking at the hotel (20.00 €), Reservation obligated. Hotel Gran Derby is a hotel where every single detail is conceived to combine business and pleasure.